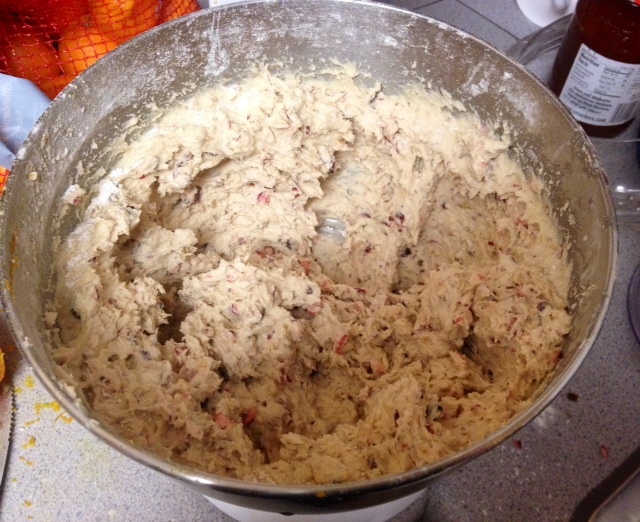 A very fond memory I have of growing up in Germany is of baking cookies during the holidays. 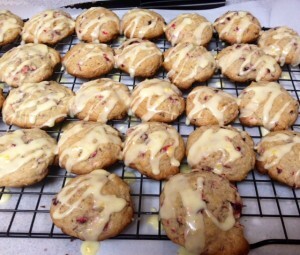 A popular German tradition is holiday cookie baking, where families will spend several days or even weeks preparing for the holidays by baking dozens and dozens of cookies and lining them in prepared holiday tins. When visiting friends and family you bring a box of cookies as a present and often receive one back. German cookies tend to be less sweet than a typical American cookie and often filled with fruit and nuts. 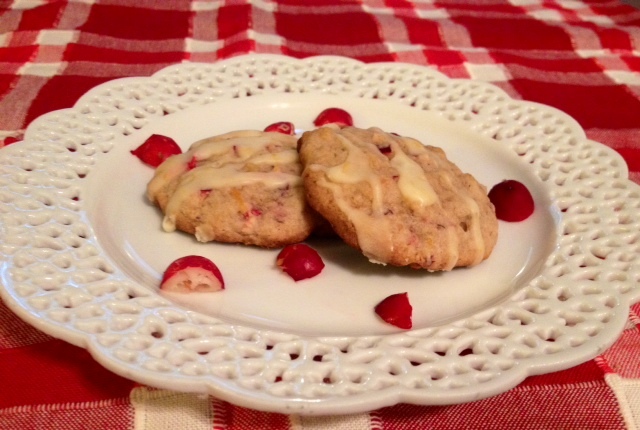 This recipe for Cranberry Tangerine Cookies is inspired by the German cookies you could expect in your tin. Filled with cranberries, almonds, and tangerine, they’re the perfect bit of sweet treat you want. 1. Preheat oven to 375°. In a large bowl, cream together butter and the brown and white sugar for several minutes. Add the egg, tangerine zest and juice, almond extract, and mix well. 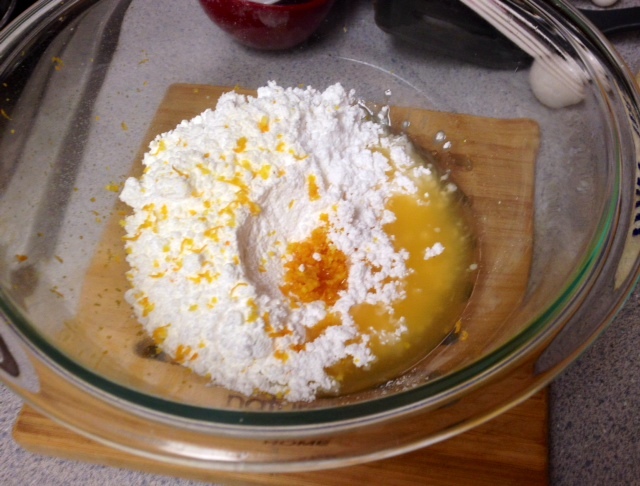 Gradually add the flour, baking soda, and salt until well incorporated. 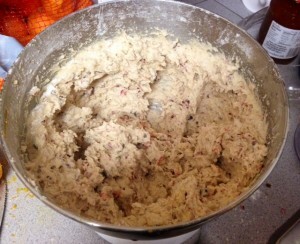 Stir in the cranberries and almonds. 2. Using a cookie scoop or tablespoon, scoop rounded tablespoons of cookie dough on ungreased cookie sheets and bake for 12-14 minutes. 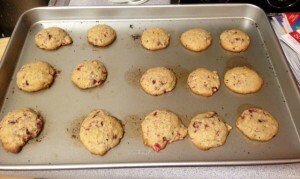 Since every oven varies slightly, I always recommend you bake one cookie all by itself to see exactly how long you need. Better to accidentally ruin one cookie than an entire tray! 3. 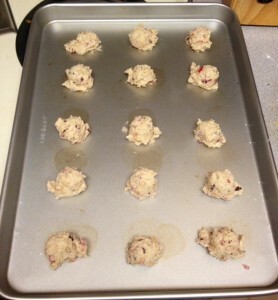 Transfer from cookie sheet to a cooling rack. 4. 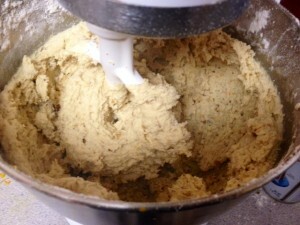 While cookies are cooling, mix together the ingredients for the icing. Using a fork or a whisk, drizzle icing over the cookies. 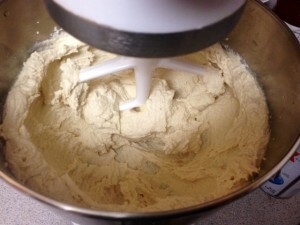 Allow icing to set before transferring to cookie tins or eating. Enjoy! Jenn, do you use fresh cranberries or the freeze-dried ones? Great question! If they’re in season I use fresh and if out of season I use dried.